Notes: Some mics need a LOT of gain - and not all preamps are up to the challenge. 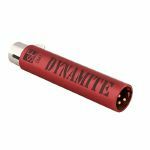 The DM1 DYNAMITE is an ultra-slim active inline preamp that fits seamlessly between your mic and mic pre, providing a massive +28dB of clean, transparent gain for all your passive microphones. The DM1 is the perfect way to boost the signal from a passive mic, reduce the likelihood of interference, and provide significantly improved level to your preamp - all without adding noise or coloration. Its output impendence is also the lowest in its class, allowing it to drive long cable runs while reducing susceptibility to RF interference, buzz and hum. Reliable operation even in demanding on-stage applications in difficult environments is ensured by the roadworthy and slim all-metal design, robust construction, and high-quality manufacturing standards. Notes: A simple but highly effective solution to the problem of needing different pop shields for different vocal performances. 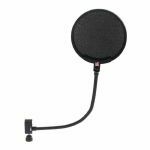 The Dual Pro Pop uses a rock-solid gooseneck with both a standard fabric membrane and our professional metal pop shield on a hinged mechanism. You can use either separately or both simultaneously, depending on the application. Notes: This unique metal screen is not simply perforated but implements a slightly convex shape to redirect low-frequency air blasts to the side of the screen. This process does not attenuate high frequencies (as fabric screens can) and leaves the vocal performance completely unaffected, minus any disruptive low frequency "pops". The original, patented, portable acoustic treatment device: the Reflexion Filter PRO. Since sE invented the Reflexion Filter in 2006, over 120,000 units have made their way into studios and homes worldwide - and it remains the indisputable industry standard for portable, effective acoustic treatment. When you put a microphone in front of you, it doesn't just hear you - it hears the room around you. Even if it's a cardioid mic and is listening mostly to just you, it's still picking up reflections from your voice or instrument that are bouncing off the walls and coming back to the mic. The goal of acoustic treatment is to minimize the pickup of such reflections so your primary sound source comes through as pure as possible. So why not just put some cardboard or foam behind the mic? Some materials are good at absorbing or reflecting particular frequencies - for example, foam absorbs highs really well, but does nothing for lows. Unlike cheap foam RF imitations, sE's patented multi-layer technology works evenly across the whole frequency spectrum to ensure a balanced, even sound with no coloration at all. This is what makes the Reflexion Filter unique, and makes it the choice of the biggest recording artists in the world - whether they're working in untreated rooms, or working in a professionally-designed studio and just need a little more isolation. In 2016, sE completely redesigned their RF Pro's mounting hardware to increase stability, simplify ease of use, and provide an updated level of performance, durability, and aesthetics. Notes: Space takes the Reflexion Filter to another dimension! sE Electronics Space takes the patented Multi-Layer Air-Gap technology that made the RF Pro a professional and project studio essential to create a product that is both bigger and better! While other manufacturers haven't even come close to replicating the design and performance of the RF Pro, we've now set the bar even higher. Space or Specialised Portable Acoustic Control Environment, has a larger surface area, designed to offer incredible isolation in any room for professional vocal and instrument recordings. By surrounding more of the microphone, Space limits the amount of direct sound reaching walls and, ultimately, reflecting back towards the microphone. Notes: Unwanted audio ambience may be generated if working in untreated acoustic environments when recording and this naturally affects the quality of any signal captured via microphone. 6 years ago, sE Electronics were the first company to develop a solution to this commonplace problem and launched the highly successful Reflexion Filter RF-Pro. sE Electronics are proud to announce that recently they were awarded a US patent for the design standard and this applies to all sE Electronics Reflexion Filter products, including the RF-X. 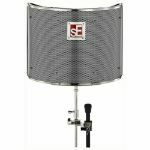 The sE Electronics RF-X is the latest high- performance acoustic filter joining sE's highly-acclaimed line of successful and industry standard Reflexion Filter products. 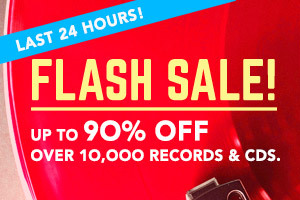 Using the same US patented design technology as the RF-Pro the RF-X has been conceived to answer the needs of the discerning recording artist working on a budget. With a new lightweight body and re-designed lightweight clamp assembly the RF-X is simplicity itself, providing unbeatable performance and ease-of-use. New materials have been developed to make it lighter than its predecessors but also to maintain its durability, helping to position RF-X as a versatile product suited for any challenging working environment. It features a 4-layer acoustic filter design comprising the outer composite panel itself, a wool fabric layer, an air gap layer and an inner acoustic foam layer. This multi-layer design with air gaps differentiates the RF-X from its competitors by helping to ensure that recordings exhibit almost zero sound coloration when using the filter. The RF-X clamp assembly also utilizes a new lightweight design allowing it to be used on almost any microphone stand. It has been simplified to achieve this and allows vertical mounting only, making it the perfect solution for vocal recording. Notes: The sE2200 is the latest version of the award-winning cardioid condenser microphone that put sE Electronics on the map many years ago with its smooth, polished sound for vocals, voiceovers, and numerous instrumental applications. Given the revered status of its predecessors, sE has remained true to the original capsule design, custom-built transformer and class-A circuit topologies, so it's still the same condenser microphone loved by a whole generation of engineers. State-of-the-art components and a shorter, optimized signal path provide even better noise performance & clarity, new pad & filter options increase its versatility, and the fit & finish has been updated with sE's latest manufacturing techniques - but the sE2200 retains all the classic sound of the original. Built like the world's finest musical instruments, every capsule is hand-crafted and individually tuned in our very own factory in Shanghai - and unlike other microphones with backplate or electret designs, the sE2200 features a true externally polarized condenser capsule, and therefore delivers the best possible performance in every aspect. Its carefully selected, discrete components ensure brilliant sound quality on any source. The sE2200's design still avoids using any ICs (integrated circuits) and is built to excel - not to a standard. Low noise, consistent performance and high sensitivity is provided by state-of-the-art surface-mounted electronic components with extremely tight tolerances. Reviving the spirit of classic studio microphones, the sE2200's custom transformer provides superb depth & weight to the overall sonic image, and the massively shielded metal housing ensures noise-free operation. For situations where greater rumble control and 'plosive protection is desired, this bundle also includes sE's Isolation Pack. With the twist of a single knob, the mount attaches quickly and securely to the microphone, and is removable with the same simple motion. 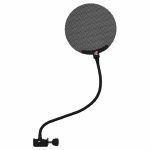 This allows the mic to be set up quickly and easily - no adjustments, no hassle. Notes: The sE7 is a high-quality back-electret small diaphragm condenser microphone intended for a wide range of studio and live sound applications, from acoustic guitars to pianos to drums and beyond. The sE7's specialized capsule is designed for natural, balanced sound quality, with an ultra-thin diaphragm for excellent transient response. Its cardioid polar pattern also makes it ideal for most studio or stage applications, delivering great sound for almost any source. Notes: Brilliant, reliable sound meets outstanding build quality. For many years, sE have had live sound engineers utilizing their studio microphones and Reflexion Filters on stages all over the world, with acts like Linkin Park, Tom Petty & The Heartbreakers, Black Sabbath, Billy Idol, Paramore, My Morning Jacket, and many, many more. With vast knowledge gained through working with countless engineers and bands, they've finally entered into the world of dynamic mics with the V Series - built to withstand rigorous touring schedules, while still performing better than anything else in their class. The V3's road-ready design is all metal - no plastic parts here. The chassis' high quality, highly durable zinc alloy is designed to hold up under on-stage stress for years, and the spring steel mesh grille is dent-proof and corrosion-free for perfect reliability. Efficiently reduces unwanted wind noise and plosive pops....and just in case you don't like our stylish "sE Red" colour, we've included a spare black windscreen in the box for you. The dynamic element in the V3 has been custom-developed for a smooth, natural sound on any voice or instrument - and its cardioid capsule design helps efficiently isolate your voice from other on-stage sounds, ensuring plenty of gain before feedback. The V3's brand new, patented shockmount efficiently decouples the capsule from mechanical vibration, providing exceptionally low handling noise as compared to other mics in its class. This means you can feel free to move around on stage without fear of rumbles, pops, or anything other than your voice coming through. The V3 is a true workhorse microphone for any purpose, equally at home on screaming guitars or delicate vocals. Notes: There's a new entry point to sE's acclaimed X1 Series, and it's breaking the performance barrier (again) for every mic in its class. When it was introduced in 2011, the X1 brought a new level of quality to its price point, competing easily with microphones costing several times as much. But that didn't stop sE from trying to outdo themselves again. With a newly-developed condenser capsule and an exterior based on the rugged metal chassis of the X1, the X1 A offers first-class sound & specifications at an even better "home studio" cost, featuring an extremely natural frequency response, massive SPL-handling capabilities (150dB! ), switchable attenuation and low-cut filters, and a perfectly balanced sensitivity level - so it's at home on absolutely any source. The X1 A's new condenser capsule design is a work of art, delivering stellar sonic performance on any source with incredible speed, accuracy, and well-balanced frequency response. The electronics have also undergone a complete overhaul, and exhibit better specifications and sound - on and off the test bench - than any other microphone in its class. The -20 dB pad switch on the left provides extended dynamic range, enabling a wide range of applications and close-mic techniques for even the loudest instruments...think super-heavy electric guitars, fortissimo brass instruments, and heavy-footed kick drums. On the right, the 100 Hz low-cut switch helps eliminate low-frequency rumble or footfall noise, and compensates for excessive bass with close-mic techniques (proximity effect). The X1 A comes complete with a rock-solid, newly designed swivel mic clip and thread adapter to fit with any mic stand. If you need additional rumble control, the X1 A integrates perfectly with sE's Isolation Pack, as well as the Reflexion Filter X - recommended for an instant pro vocal recording setup for your home studio. Notes: If you're recording in a non-acoustically-treated space (bedrooms, closets, etc. ), a Reflexion Filter helps keep your signal clean without the sound of your room around it. The X1 S Studio Bundle has everything from the sE Electronics Vocal Pack, plus the simple and effective RF-X, so you can record anywhere you want. The X1 S is a refined version of sE's best-selling X1, tuned for advanced performance in every way imaginable. When sE introduced the X1 in 2010, it redefined the potential of an affordable hand-crafted condenser microphone. With the highest dynamic range and SPL handling capabilities in its class, along with expanded features that dramatically increase its flexibility, the X1 S has been improved in every way - yet is even more affordable than the original. Unwanted room sound interfering with your recordings? With the RF-X, anyone can capture a great-sounding recording anywhere. Using the same design technology as the industry standard Reflexion Filter PRO, the RF-X was conceived to answer the needs of the discerning recording artist working on a budget. With its lightweight vented body and an efficient, redesigned clamp assembly, the RF-X is simplicity itself, providing stellar performance and ease-of-use. Notes: When sE introduced the X1 in 2010, it redefined the potential of an affordable hand-crafted condenser microphone. Just like its predecessor, the X1 S utilizes a hand-made condenser capsule, meticulously constructed and tuned in sE's capsule room by technicians with decades of experience. This results in a capsule built like the world's finest musical instruments - and a capsule truly up to the challenge of recording them. The X1 S also comes standard with a mic clip that will securely attach it to any mic stand, but if you're interested in additional mounting and accessory options, you can read about the X1 S bundles below.